On Tuesday, September 13, 1977, I walked into your office and saw you for the first time. That afternoon, I called and asked you out. That Friday, we stopped at the Renaissance Center in Detroit and had dinner at the Holiday Inn in Windsor. The next day, I drove to your house and we visited the Henry Ford Estate and Greenfield Village. And that Sunday, we went to the show and saw 2001: A Space Odyssey. Just days before we met, NASA launched Voyagers I and II, two weeks apart. Voyager I has now crossed the threshold to become the first manmade object to reach interstellar space, where most atoms are not from this solar system but from other stars. Voyager II will soon follow Voyager I. They will reach the next star (Proxima Centauri) in 400 centuries, and the nearest galaxy (Andromeda) in 250 million centuries. 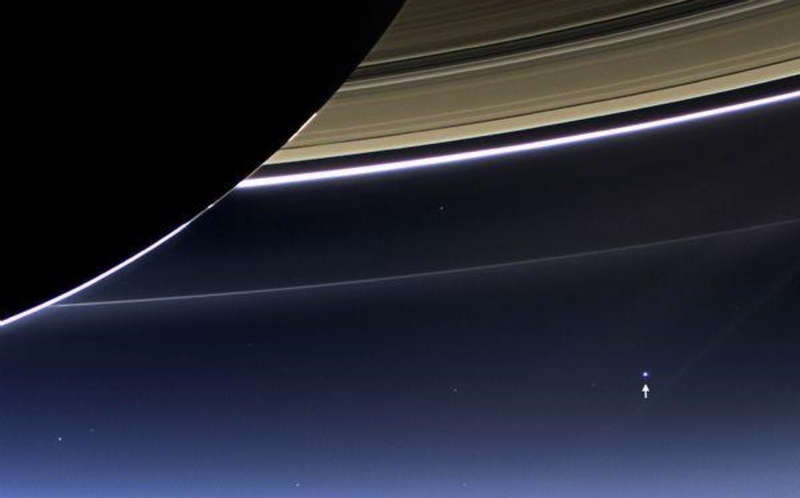 On this pale blue dot in that infinity of space, you and I are together.